Perak is a state with wide area but low population compare to other city in Malaysia. Public transport here is not up to standard but is used to serve the poor and some tourist area. The following routes cover some of the more familiar services for whoever want to visit Perak. Click on the bus operator to view more details. did you knw whether got perak tansit frm amanjaya bus station to gunung rapat area? thx. Amanjaya bas stad ke jln medan ipoh 4 nk naik bas apa? Klu dari bas stand medan kidd ada bas express ke jb x ? You can use Perak Transit shuttle to Medan Kidd but you can use express bus from Amanjaya to Jb. Please check using the booking tool at our site. Bole taw dari amanjaya nk ke kg kepayang,simpang pulai naik bas no berape? Tq..
Hi, you can use Amanjaya Ipoh shuttle by Perak Transit to Ipoh bus station, then use Perak Transit 66 to Kampung Kepayang. Ada tak bus dari terminal bus kuala kangsar ke stesen bus aman jaya ipoh? You can use Kumpulan Bus Perak buses. 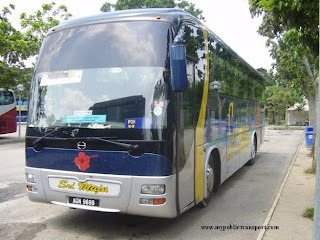 Say, if I want to travel by bus from Ipoh to Bagan Serai - can you suggest what bus, where to take in ipoh and maybe perhaps some info on the schedule? Hi, you can use Kumpulan Bas Perak bus. hello, is there any bus to Pengkalan near station 18? from Medan gopeng or Simpang Pulai? Hi, you can take Perak Transit 39, 47, 391, 471,114 which will go Lahat by going pass Pengkalan near Station 18. How about frequency of bas route 58 per day? Hi, it is at least 1 hour per bus. The Perak Transit bus from Kuala Kangsar to Ipoh will end at what time ? 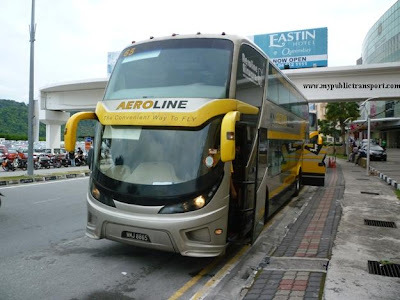 nak tanya, kalau dari stesen bus amanjaya ipoh nak ke stesen bus kamunting raya boleh x ambil bas Ipoh Taiping Express? Kalau ade, bas ni plg awal available dlm pkl brape ye? tq. Hi, you can take Kumpulan Bas Perak buses from Amanjaya to Kamunting. Hi, you can take bus no 66 from Ipoh to Kampar. Where can I take the bus no 66 from Ipoh? And how about the frequency per day? 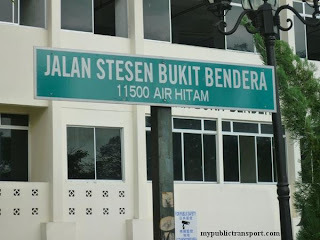 Mcm mana nak pergi terminal bas amanjaya dari hentian sri iskandar?? help me..
Hi, you can take S&S International bus. Hai. Wonder any bus/transportation from Pantai Remis to Hat Yai? Any suggestion? TQ! Hi, you can take buses from Taiping/Kamunting to Hat Yai. Ok thanks! Btw, can I have the address/location of terminal station of Taiping/Kamunting (have to set destination in GPS)? And what bus can I take? Possible to have the schedule and bus name? TQ! Hi, you can take bus 116. 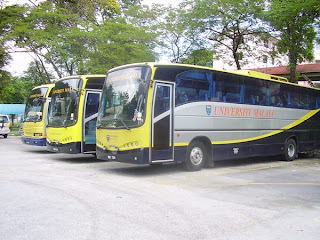 Hi, may I know which bus can I take from UTP to Ipoh Amajaya and also Ipoh Amanjaya to UTP ? For Sri Maju from Kuala Kangsar to Ipoh, will it stop at Aman Jaya or Medan Kidd? Hi, the bus will stop at Jalan Bendahara. May I know what are the routes for Perak Transit ? is there a bus from k.kangsar to medan kidd? if there is one,what bus should I take and where in Kuala Kangsar can I wait for the bus? May i know the bus from kampar to ipoh ends at which bus station? what is the earliest bus from kampar to ipoh? 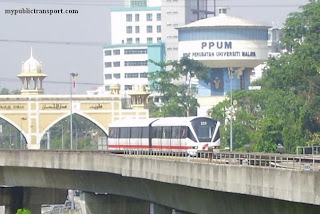 how to go ipoh amanjaya from ipoh jalan bndahara? hi, is there any bus from seri iskandar to kuala kangsar? can I have the schedule? HI, it ends at Jalan Bendahara. The earliest is 6.30am. You can take Perak Transit shuttle from Ipoh town to Amanjaya. Hi, sorry we not sure if there is any such services. Hi. Ada x bas dri tmn cempaka ke terminal amnjaya?? Hi! Can I know which bus should I take from kampar to Yeo Hiap Seng Sdn Bhd (located in Kawasan Perkilangan Jelapang) ? What is the earliest bus to reach there? Thanks. hai..nak bertanya. ada tak bas ekspress dari terminal amanjaya ke lumut perjalanan waktu siang? Hi, yes you can take S&S International. 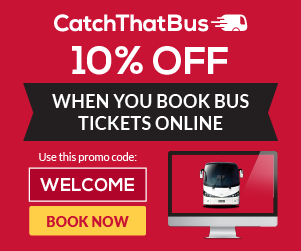 You can check the ticket using our booking tool. any bus from ipoh parade to gunung rapat?? Hi, you need to use taxi. any bus from medan kidd to tesco ipoh or tesco extra? is there any bus can i take from poli or taman chempaka to go medan kidd?can i know the time n where can i take the bus? Hi, you can take bus 94. I have difficulty in finding a way to go from Bukit Merah to Pulau Pangkor. Are there any express bus stations in Bukit Merah Laketown Resort? Is there a bus going straight from Bukit Merah to Damai Laut in Lumut? 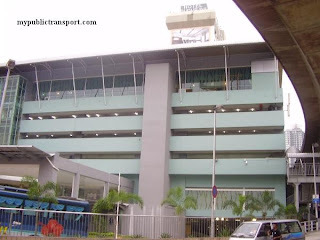 Or we have to go to several express bus terminal in the journey? 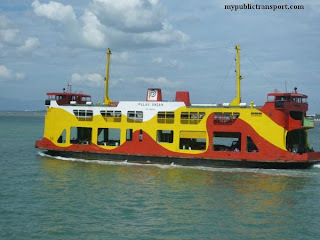 I am going to reach Damai Laut then only go to Pulau Pangkor by ferry. Hi, you will need to take a cab for this. MAY i know the schedule bus perak transit from kampar to medan kidd? ?may i know the actual time for bus depart? how much per person and how long to go there?? 1. Take Perak Transit bus 66 from Ipoh to Kampar. 2. From Kampar, take Hup Yik bus 173 to Tapah. 3. From Tapah take Hup Yik bus to Bidor. 4. Last, from Bidor take Hup Soon bus 23 to Coldstream Village. Hi there, is there a bus I can take from taman rapat area to station 18? Or should I walk to medan Gopeng and then take the bus there to station 18? hello, may i noe the time of the last bus from aeon station 18 back to medan kidd? or may i have the timetable? route 66 ipoh-kampar last bus what time? hai. can i know which bus can i take from terminal aman jaya to go to lapangan terbang sultan azlan shah ? Hi, you need to take taxi. Hi if i were from ktm ipoh and take a bus from medan kidd, what time can i ride the bus to medan gopeng? is the bus still available at 5pm? Hi, you can take Ipoh Omnibus, the bus will go around Ipoh town. However Medan Gopeng is now closed, so I not sure why you are heading there. sorry but it's not the station at medan gopeng i want to go to, i know it's closed but it's the bus stop there i'm talking about. How i'm going from amanjaya terminal to ktmb ipoh station? Hi, you can take Perak Transit 116. The bus will stops at Medan Kidd and then you can walk to KTMB. Hi! 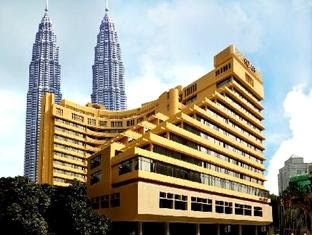 I will need to go from Amanjaya bus terminal to Regalodge Hotel in Ipoh. I know that there are buses that bring to the local bus station in Ipoh, but it is too far from the hotel. Do the bus stop near my hotel or do I need to take a taxi? Thanks a lot. Hi, you can take Perak Transit 116 from Amanjaya to Ipoh town. Then only take taxi as the town bus station is not far from your hotel. bus 84 dr taiping ke lumut still beroperasi ke sekarg ??? Yes. Still a limited services, should be less than 6 trips per day. Hi any bus from jusco Kinta city to guNung rapat? Hi, you can take Perak Transit 114. Ada x bas kbp dari amanjaya ke parit buntar? Pkol bpa? Yes there are few, you can check using the booking tool on our site for latest timetable. sorry.. there are any bus from medan kid to medan gopeng? Hi, yes, you can take Perak Omnibus that will circulate the town, it will goes from Medan Kidd to Medan Gopeng. Nak tanya..ada x bas dari Terminal Aman Jaya Ipoh, ke lenggong hari2? 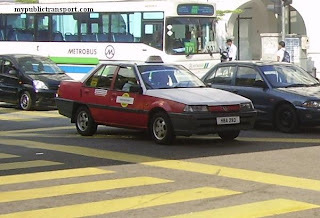 Dan kalau ada bas dari ipoh paling awwl gerak jam berapa? Hi, you can take Roadways bus from Ipoh. Hi, ade tak bas dari stesen amanjaya ke stesen bas medan kidd? Yes, there is shuttle for this. hi. nak tanya. ada tak bus dari mahkamah syariah ipoh ke medan gopeng? Yes, you can walk to Medan Kidd and take PerakTransit/Ipoh Omnibus shuttle that will travel around the town and reach Medan Gopeng. hi,any perak transit bus from bercham to 1)medan kidd & 2)aman jaya? any bus from kampar to ipoh/gunungrapat ? Hi, you can take Perak Transit 66 from Kampar to Ipoh and Gunung Rapat. Hi, is there any bus from Seri Iskandar to Seri Manjung everyday? What is the schedule? Thank you. 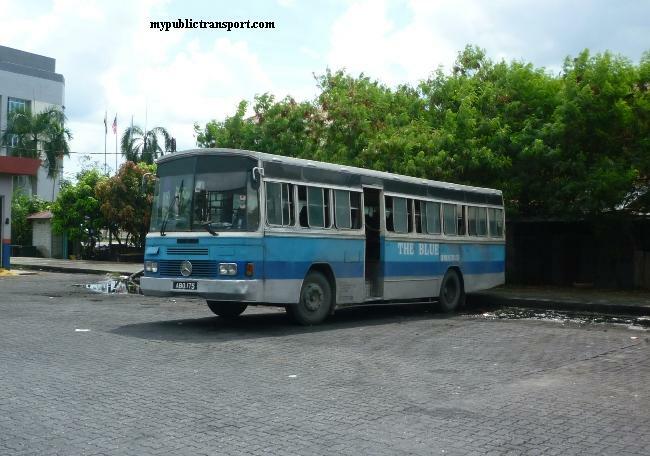 for the blue omnibus 84 TAIPING -- PANTAI REMIS -- LUMUT, do u know if they stop at sri manjung bus station? if not, where is the pantai remis bus stop? thanks a lot! Hi, they dont stop at Sri Manjung bus station, they usually only stop at Pantai Remis and enter lumut depends on demand. thank you so much for the prompt reply, i guess i'll just take the bus from lumut haha, it's nearer to sri manjung than pantai remis. my destination is taiping. so they dont have a fixed schedule? can i call them to ask what are their timetables? Hi, you can directly walk over as they are just 1km away. Helloo.... someone plise help me... how if i want go to cameron highland by bus from medan gopeng?? Hi, you can take Kurnia Bistari, Kinta Omnibus or Unititi Express from Amanjaya terminal. Medan Gopeng bus terminal is now closed. Hello... is there any bus services from Station 18 area to Kek Lok Tong area? Or from Ipoh train station area to Kek Lok Tong area? Hope u can help me out on this, thanks! Hi, there is no bus to Kek Lok Tong, you need to take taxi to there. hi .. do u know how to go to hospital ipoh from amanjaya ???? Hi, you can take Perak Transit 116. Hi , is there any bus from amanjaya/medankidd to bukit merah,simpang ampat ? Hi, you can take express bus from Amanjaya to Kamunting, then take taxi to Bukit Merah. Hi, you can take Perak Transit 116 or PK Sdn Bhd Bus from Amanjaya to Medan Kidd, then take Perak Transit 93 to Station 18. How about from kk to sri iskandar.. is rhere any buses? 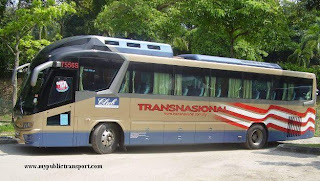 Hi, you can take Perak transit to Ipoh, then take Roadways bus to Sri Iskandar. Hi. How can I go to Bagan Datoh from Amanjaya Ipoh? Is there any route you can suggest? Thanks! Hi, you can take LPMS express bus to Hutan Melintang or Teluk Intan, then take Bagan Datoh Liner to Bagan Datoh. 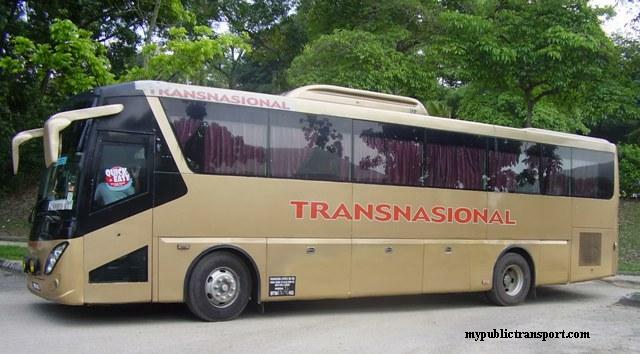 Sometimes LPMS also provides express bus directly to Bagan Datoh. Hi. Is there any bus services from Terminal Aman Jaya / Medan Kidd to Klebang / Chemor ? Thanks. Hi, you can take Reliance Bus 141 or Perak Transit 35. Hi. How can I go to seri iskandar from Amanjaya Ipoh? Is there any route you can suggest? Thanks! Hi, you can take S&S International Bus. You can get the tickets from the booking tool on our site. Hai. Is there any bus from medan kid to ipoh parade? Kalau ada, what bus should I take ey? Hello there! which bus should I take from medan kid to Greentown mall? and by the way, how far do I have to walk from the bus stop to celcom center? There is no bus stop in that area, just tell the driver you want to stop here. hi, is there any bus from terminal aman jaya to kolej matrikulasi perak gopeng? please help me! Hi, you need to take Perak Transit bus 116 from Aman Jaya to Medan Kidd, then check at Perak Transit counter is 114 available that day because it is a very limited service and is the only way to Taman Cempaka. Want to know if there is any bus from Ipoh Jaya to The KTM station near medan Kidd. 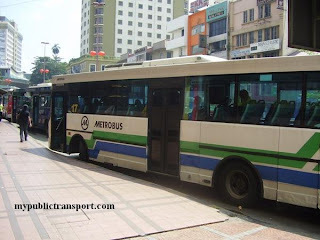 Saw there are few Ipoh transit busses passby the Ipoh Jaya bus stop but not sure if they are going to medan Kidd or not. Hi, yes you can take Perak Transit 94 to Medan Kidd. Hi, you can take KPB bus from Lumut to Kamunting, then take Red Omnibus to Selama. Hi may I know is there any bus service from Stesen Keretapi Ipoh to Terminal Amanjaya?until what time is the operation and frequency..thanks in advance..
Hi, you can walk to Medan Kidd and take Perak Transit 116 or PK Sdn Bhd Bas to Terminal Amanjaya. Both of them comes about every 30 minutes with PK bas has a higher frequency but they will just stop outside of both Medan Kidd and Amanjaya. Hello. Anyone knows the bus schedule Ipoh-Lumut and what's the trip duration? Thank you very much. Greetings from Spain. @mypublictransport Thank you very much for your quick and useful answer. I had reserved a bus trip CameronH - Ipoh at 8:00, so I supose that I cannot take the bus Ipoh-Lumut at 10:15, but at 11:50. Best regards. Yes, 11.50 should be the right time. Hi, you can take Perak Transit 39 or 46. Hello, how can i go to PHL Convention Centre in Ipoh from Kamunting's Bus Terminal and vice versa and what is the schedule time of the bus? Hi, you need to first take Taiping-Ipoh express to Ipoh Medan Kidd, then take Perak Transit 39 or 46 to PHL Convention Centre. Hello..anyone knows the bus schedule from ipoh to sri manjung? May I know what time in the evening is the last bus from Aman Jaya to bus station and bus station to Pasir Puteh. Thank you. Hi, from Kampar you need to first take Perak Transit to Ipoh Medan Kidd, then take Roadways from their terminal nearby to Medan Kidd to UTP. Hi, you need to take KPB express bus. Hai. Ade tak bas dari taiping ke lumut or manjung? Kalau ade can i get the schedule? Hi..nak tanya..dari poli nak pergi ktmb ipoh nak kena naik bas apa? ?and dekat mana nak tunggu bas tersebut?? Hi, can I know what do you mean by poli? Hi, you can take Perak Transit 94 to Medan Kidd and walk to KTMB. Then where i need to wait for the bus?? you can get Perak Transit 114 but it only comes every 1-2 hours. You can walk to Sungai Rokam for 94 which comes about every 30 minutes. For Sungai Rokam, we not sure where is the bus stop. Hi may i know when was the last trip for roadway ipoh-lumut? Hi, can i noe how frequent bus 66 is from kampar to gunung rapat and the the first trip is on wat time? Hi, it departs every 30-45 minutes from 6.00am. It only go pass without entering Gunung Rapat Road, if you need to go somewhere far into Gunung Rapat, you can then take Perak Transit 94.
kalau saya nak pergi gunung rapat dari kampar, stesen ke berapa saya perlu turun? Hi, which part of Gunung Rapat are you heading to? Hi , is there any bus from medan kidd to the airport? Or do I need to take a cab ? hi, what bus i need to take from pengkalan hulu to ipoh? Hi, you need to first take KBRT bus from Pengkalan Hulu to Gerik, then take Roadways Bus from Gerik to Ipoh. If Roadways is serve from Pengkalan Hulu, then you can directly take it to Ipoh. hi,i need ur help..what bus i need to take from amanjaya to kolej matrikulasi gopeng? Hi, from Amanjaya, you need to first take Perak Transit Shuttle or 116 to Medan Kidd. 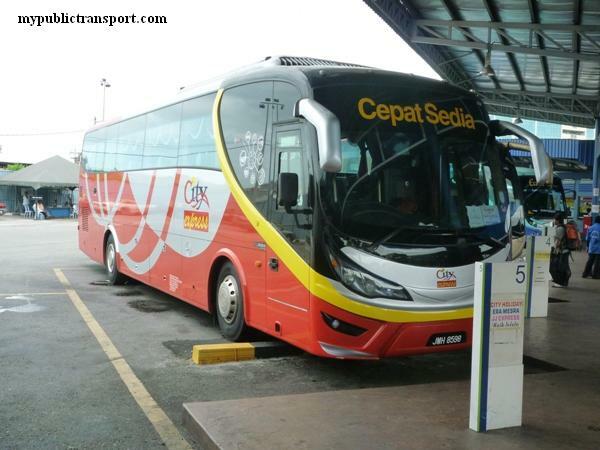 Then from Medan Kidd, you can take Perak Transit 66 to Gopeng Bus Terminal. Last, from Gopeng bus terminal, you can take Perak Transit 68 to Gopeng Matriculation College. 68 is going to Lawan Kuda/Kota Bahru. Hi, you can take Perak Transit 39 or 391 from Medan Kidd to Beruas, then take Bus Rakyat Manjung to Pantai Remis. 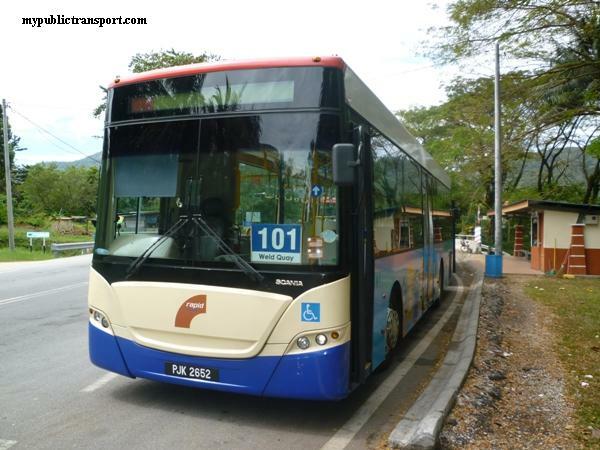 You can also choose to take Ipoh Lumut express by Roadways to Lumut, then take Blue Omnibus to Pantai Remis. Hi, you can take Ipoh Teluk Anson express from Ipoh to Teluk Intan. The journey is about 1 hour 30 minutes. hi, is there bus provided from medan kidd to sri manjung? Hi, you can first take Perak Transit 116 to Medan Kidd, then take Perak Transit 66 to Kampar. Hi, yes , you can take Perak Transit 46.
hi,bas dari taiping ke lumut ada tak...? ?paling lewat pukul berapa...??? Hi, yes, you can take the Blue Omnibus 84. The last bus is 6pm.